What Does it Cost to Warm Up these Colorado Springs Kitchen Floors? Did you know that Colorado Springs is one of the most active lightning strike areas in the United States? This natural phenomenon led Nikola Tesla to select Colorado Springs as the preferred location to build his lab and study electricity. Tesla was an inventor, electrical engineer, mechanical engineer, physicist, and futurist best known for his contributions to the design of the modern alternating current (AC) electricity supply system. Colorado Springs is located in the east central portion of the state. It has a semi-arid climate and its location just east of the Rocky Mountains allows the rapid warming influence from chinook winds during the winter season but also makes it vulnerable to drastic day-to-day variability in weather conditions. Winters range from mild to moderately cold, with December, the coldest month, averaging 30.8 degrees Fahrenheit; historically January has been the coldest month, but, in recent years, December has had both lower daily maximum and minimum temperatures. According to currentresults.com nearly every winter night has freezing temperatures at Colorado Springs. On average five of those get as cold as 0 degrees Fahrenheit or below. Between the cold temperatures and the unpredictable variability of Colorado Springs weather, radiant floor heating is a welcome addition to warm up any room in the home. One of the most popular rooms to add radiant floor heat is the kitchen, because it’s where most of the cooking, entertaining and more take place especially in the winter. In this instance (see floor plan), the homeowner selected a 1.5 x 45’ Environ Flex Roll to heat a 114-square-foot kitchen. The heating roll fills 67.5 square feet of available floor space and costs $608, bringing the total cost per square foot to just $9. Plus, it’s economical to operate. According to WarmlyYours’ Energy Use Calculator, it only costs 34 cents a day to operate the system for eight hours a day. For the entire year, the cost is $105.96 and just $19.89 during the coldest month of the year, based on WarmlyYours’ Heat Loss Calculator. To determine whether the electric floor heating system can be the sole source of heat for the room, the Heat Loss Calculator tool factors in details such as the desired room temperature, sealing factor, surrounding rooms and insulation. In this case, the system can be the primary heat source for this kitchen so additional heating costs will not be necessary, which is an added benefit. When it comes to radiant heat, it doesn’t end with the floors. WarmlyYours also offers Countertop Heating to take the chill off cold stone and granite counters. The best part is that you can add the heat underneath your existing counters so it’s easy to install without any remodeling. 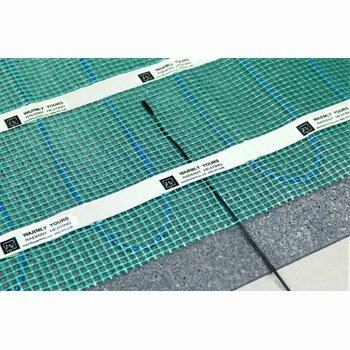 To find out how much it would cost to install electric floor heating in your kitchen, you should visit www.warmlyyours.com and check out the Instant Quote tool. 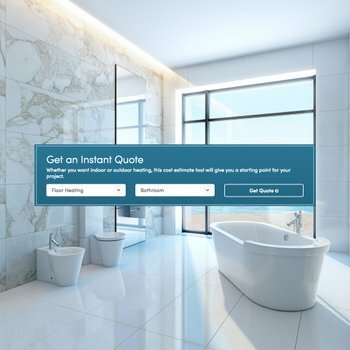 After entering some information about your project, the tool will result in a quote that shows the recommended products and their respective costs. Once you have your quote, we also suggest that you get a custom installation plan. This more detailed plan will show you how the product should be installed, including an electrical plan for your room. To get a custom installation plan, you can submit a floor plan online or contact a sales representative at sales@warmlyyours.com or 800-875-5285. Once you begin installation, if you have any questions, you can feel free to contact our technical support team at 800-875-5285. Our team is available 24/7 to help you with any installation questions you may have whenever you need assistance. How Much Does it Cost to Add Radiant Heat to a Sacramento Bathroom? What Does it Cost to Add Radiant Heat to this Louisville Kitchen? we are remodeling a 100 year old barn in ohio and we want floor-heating, we are just starting to research this, total space , 1st and 2nd floor is maybe 3000 sq including closest and laundry rm, finished, we are almost finished with the framing part, we 8inch walls w/ 5 inches of insulating 1st step was sterafoam sheets then we added Roxul 940 over that , we know that is over kill but we have a train track not far from us and we wanted a sound barrier with the Roxul, carpet on all of upstairs,, some wood and some tile down stairs , we will also have solar panels,,,on a pavillian to furnish electrical power. 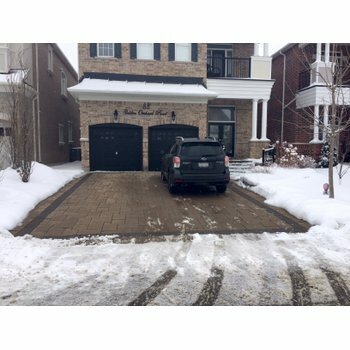 which would be the best way for the floors. we will also be putting in new concrete floor. help?